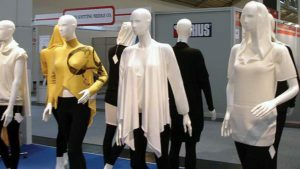 Competition in the apparel industry is on a surge as the buyers are raising the quality benchmarks, while demanding lower prices and lead times. The productivity levels at which the apparel manufacturers worked 20 years ago might put them out of business today. The rule of the game is totally different in present times and the biggest challenge is to improve productivity for which Industry 4.0 ready solutions are definitely a perfect choice. McKinsey, a leading global management consultant firm, estimates that Industry 4.0 solutions will increase overall productivity by 5%, reduce cost for quality by 10% and lessen the machine downtime by 50%. “The data generated by these smart solutions will eventually be monitored and analysed to take further action,” says Dietrich Eickhoff, Managing Director/CEO, ShangGong Europe (SGE). Anticipating the need and providing a solution, Duerkopp Adler, the German pioneer in automated and engineered workstations, which has been known from last 150 years for delivering innovative solutions, has introduced the QONDAC Networks at CISMA 2017. An intelligent machine network solution, QONDAC is a production monitoring system that can network the sewing machines and digitize the data to provide real-time information that can also be controlled remotely. “At later stages, cutting and finishing sections can also be networked and integrated with the production of QONDAC Networks,” informs Michael Kilian, Chairman of the Executive Board, Duerkopp Adler. He is heading the research and development team for SGE Group and is responsible for its coordination. The three modules of QONDAC Networks ensure proper capturing of data which prove to be effective in production management. These are Compilor CPA (monitoring and process analyzing tool), Curator CSM (digitized service and maintenance tool) and Connector CAP (data import and export tool). Compilor CPA can map individualized key performance indicators like number of stitches a sewing machine has done and how many it can do. It can also determine the potential for improvement. All these indicators can identify shortcomings in real time and production stops can be managed efficiently. The module can compare plants, production lines or operator performances at any time. “The best part is that the information can be received in different languages,” shares Kilian. If a machine needs to undergo maintenance or does not perform optimally, Curator CSM makes a report for the production manager to act quickly. Maintenance work can be scheduled remotely or organized digitally based on real machine usage without necessarily being present near the machine. In case of need, service calls are automatically made to the technician. Another module, Connector CAP can import all the data into the ERP system. 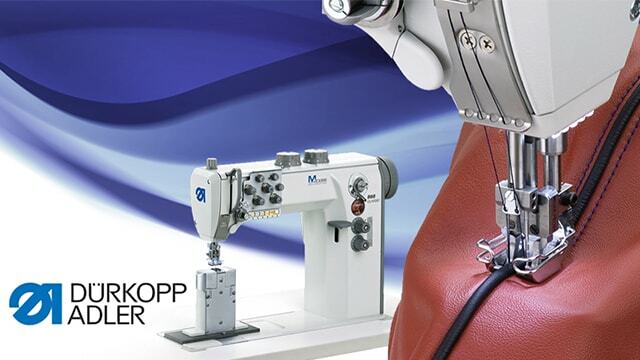 “Our QONDAC Networks can be networked with any sewing machine and it need not be a Duerkopp Adler machine,” informs Eickhoff. The panel can be integrated to the sewing machine with a touchscreen display where all the settings will be at one tap of a finger. Tutorial videos or PDFs can be viewed for better understanding of a particular operation. Furthermore, in case of breakdown, technician can be called with one touch. The beta version of QONDAC is available from October this year. And from next year, the zeroed product will be commercially available. “QONDAC Networks are a dynamic solution where improvements will be carried out regularly in terms of upgrades and updates,” concludes Eickhoff.